As I tackle this year’s stack of Christmas cards, I’m reminded of what I keep hearing nowadays: “I never send Christmas cards.” “Nobody sends letters anymore.” “Nobody cares about that stuff.” “Email is better.” Yeah, no. I don’t care if I’m part of a dwindling population. I will always believe in the importance of handwritten letters. 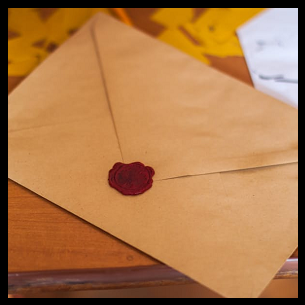 Handwritten letters are like the little black dress of communication – they’ll always be in style. Unfortunately, society has become incredibly lazy and artificial. And don’t even get me started on how our standards have dropped to an all-time low. Does writing cards or letters automatically make you a better person? Psshtt, no. It is, however, an extra special way to let someone know you’re thinking of them; and it’s one of the many “old-fashioned” traditions that I think we need to bring back. Sure, sending an email or text takes less time – but isn’t that the point? That you care about someone enough to make a tad bit more effort and spend a little more time on them? We all know time is one of the best gifts you can give. Even in the dating world, a surefire way to tell if someone gives a crap about you is to look at how much time they spend on your relationship. (Newsflash, gold-diggers: a guy can always get his money back, but time is gone once it’s spent.) And honestly, it doesn’t even take that long. So if you get stressed at the thought of writing a few cards or letters by hand once or twice a year, you might want to see a specialist about your anxiety levels. I’m the only “kid” in my family who has consistently been sending handwritten cards to relatives since I could scribble my name in chicken scratch on a piece of paper at the age of two. Most likely, it’s because my mom taught me about the importance of writing letters, whether it’s a sign of appreciation or acknowledgement. Now, at the age of 30, I can’t imagine going a single Christmas without picking out the perfect card design and sending them out to friends and family. Of course, not everyone will give a handwritten letter a second thought; but this personal tradition of mine was validated when my grandma passed away several years ago. When we were going through her belongings, I found a huge stash of Christmas and thank you cards that I had sent her over the years, safely tucked away in a box. She cared enough to keep them, so I’m going to continue to care enough to send them.